The Annual Asbury Park Oysterfest is back and better than ever! 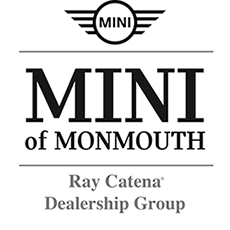 What's the perfect recipe for a cool weekend in hottest town at the Jersey Shore? Start with fresh seafood and other culinary delights, add a dash of music, and a pinch of surprises and you have Asbury Park's Oysterfest, a three-day culinary event you don't want to miss. This year's event will be held in Bradley Park in front of the Historic Paramount Theatre and Convention Hall. Food – Oysters, seafood, and traditional festival fare are available from over 25 vendors including Local 130 Seafood, The Tiger's Tail, The Tasty Trolley, Ike's Famous Crabcakes, Bistro Red Bank, Sweetpepper Empanadas, Torta Truck, Louie Linguine, Empanada Guy, Teamco Foodservice, King of Rock-n-Roll Treats, Dainty Donuts, Squeezed Fresh, Tony's Clam Bar, Fantastic Thai Cuisine, Sweet Concessions, We So Korny Kettle Corn, Simply Southern, Kona Ice, Gourmet Barbecue, Jr's, Roll Upz Ice Cream and many more! 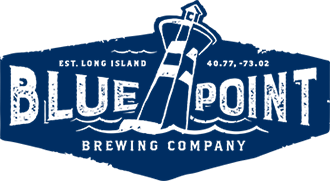 Beverages – Bluepoint Brewing Company will be back with some of their fan favorite beers from past years along with Budweiser and Bud Light. Oysterfest will also feature an Asbury Park Beer tent featuring beers from the Asbury Park Brewery! For any wine lovers l out there, we will also have Tavernello "No. 1 Wine In Italy" which was a big hit at last year's festival. Soda, lemonade, and other drinks will also be available. Crafts – Great gifts and treasures from over 25 local & unique vendors make the festival an all-day event. Music – Diverse music scene featured throughout the weekend. Entertainment Schedule coming soon. Kids – 6 years and younger (FREE admission). Fun food, music, and activities for children of all ages. Supporting the Community – Friday night, 'Asbury Park Open House Night' features FREE entry. Saturday & Sunday a portion of the $3 weekend entry fee supports the Community Affairs and Resource Center. Dogs – Oysterfest and Asbury Park are dog-friendly! Shop, Dine, Stay – LOVE Asbury Park.